The dream of having a trimmer, more slender body is no longer an intangible goal. Whether you have tried to lose weight on your own in the past, or you would like a little help in getting started, Dr. Racanelli can work with you to help you achieve the body you’re looking to gain, through liposuction. 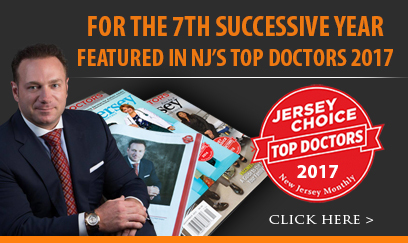 Dr. Racanelli aspires to give some of the best liposuction New Jersey can offer. Liposuction is a procedure in which fat deposits are gently removed using a surgical vacuum through a tube called a cannula. Dr. Racanelli will make a small incision, which the cannula will be inserted through. The fat located in the desired areas is loosened, by using a sweeping motion. While most plastic surgeons use standard surgical cannulas to remove the fat during a liposuction procedure, Dr. Racanelli has perfected the process using his own custom-made tools. He uses cannulas that are much smaller and thinner than standard. This results in fewer scars and far more exact contours. Additionally, Dr. Racanelli will select very specific incision points, located in areas that are easily concealed. His particular techniques can help remove and smooth out excess fat that is stored in targeted areas of your body. Dr. Racanelli delivers some of the best liposuction Brooklyn and New Jersey can provide. Imagine being able to fit into your clothes without having the undesirable frustration of struggling to close buttons and zippers. Or for that matter, constantly finding yourself embarrassed by rolls of fat. Whether you choose to focus on your arms, stomach, buttocks, back, thighs, or even all of the above, your liposuction treatment will help give you the look you desire, without the hassle and time commitment it takes for diet and exercise. · Reshaping areas like the abdomen, back, hips, thighs, arms, legs, and even the face and neck. · Carving out those 6-pack muscles with abdominal etching techniques. · Harvesting fat for other aesthetically enhancing procedures like facial rejuvenation, breast augmentation or a Brazilian buttock lift. The entire process of having liposuction varies, depending on your body and your unique needs and requests. It can range anywhere from one hour, up to six hours. After liposuction, the treated areas are carefully wrapped in elastic compression garments to minimize swelling and encourage healing. These garments should be consistently worn for several weeks, following your surgery. Typically, patients feel ready to return to work after a week. However, this can vary, depending on which areas have been treated, as well as the amount of fat that has been removed. Any initial numbness normally lessens within a couple weeks. Although there will be some swelling, you can expect it to diminish over the course of a few weeks. You will start to notice a new, leaner appearance with fewer bulges, along with smoother contours almost immediately. Dr. Racanelli will discuss all the physical enhancement options that are available to you, in order to effectively determine the correct procedures for your body and your personal aspirations. With four conveniently located offices in New York and New Jersey, Dr. Racanelli has made it easy for you to finally be able to achieve your goals for physical prowess and beauty. You can schedule a consultation online, or feel free to contact Dr. Racanelli’s office directly at (888) 982-3309 and one of our staff members can set up a private consultation for you.